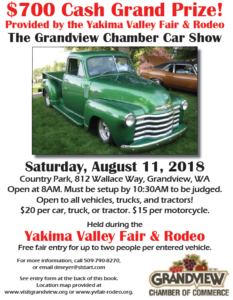 THANK YOU GRANDVIEW CHAMBER CAR SHOW SPONSORS! Information/Entry Form & map provided below. Car Show List of Participating Sponsors (THANK YOU! ).